Progressive rock today maintains the ornate instrumentation and ambition of its classic era, but as rock music itself evolved, so has prog. The recording budgets may not be what they once were, but contemporary prog bands still see beyond stylistic boundaries, embracing the instrumental skill and complex songwriting of the genre’s creators while finding new ways to evolve and change its shape. 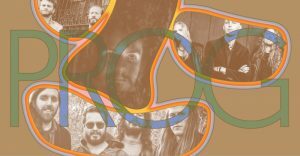 Some of them favor air-tight composition while others delve into improvisational spaces, but they all are redefining progressive rock in their own way.